Thanks to its use in a multitude of applications—from laying the framework for new roads or creating the foundation for a skyscraper—concrete is commonly referred to as the singlemost widely used material in the world. Even when summer comes to an end, the seemingly constant road construction often continues well into the cooler autumn months. And for most infrastructure projects, concrete is a major component. It makes sense that it’s easier to lay concrete during dry weather, but the heat of summer also poses some potential risks to the integrity and safety of the concrete itself and the people who work with it. Why are we getting our feathers ruffled over stressed concrete? When it comes to concrete, temperature may be one of the most important factors in executing a perfect pour. After concrete is poured, it begins to cure—or harden—and during that process, the concrete creates an exothermic reaction, causing its temperature to rise. When the temperature of the concrete rises above 160 degrees Fahrenheit, the integrity of the concrete becomes compromised and can crack due to thermal stresses. This “stress cracking” can seriously compromise the structure. High external temperatures only add to this complicated situation. When the hot summer sun adds its heat to the exothermic hydration reaction of the newly laid concrete, the risk for thermal stress cracking is amplified. In addition, a particularly sneaky and dangerous result of pouring concrete at above-average temperatures can result in a process called “delayed ettringite formation” (DEF), which can cause cracking years after the concrete was poured. DEF occurs during the hydration reaction when the temperature peaks about 160 degrees Fahrenheit. Sulphates are formed around the aggregates that are water soluble. Over time, the sulphates dissolve to form voids or pockets. Water can pool in these pockets within in the concrete. When these pockets of water freeze during the cold winter months, they expand and cause cracking which damages the concrete structures. So if summertime brings an influx of construction projects around the country, but also poses the biggest threat to concrete integrity, how is everyone keeping their concrete cool enough to build safely? The answer is simple. Use the same things to cool concrete that you’d use to cool yourself—or your beverage—on a hot day: ice and water. This may seem like the no-brainer option for keeping your concrete cool, but it does come with a couple of drawbacks, like skin exposure to the ice and the sheer amount of physicality involved in unloading the ice into the concrete. A typical two-person crew may handle up to a ton of ice in 50-pound increments, which adds up to a lot of backbreaking labor. Could there really be a better option than good old H2O? Water is free and readily available, so it’s worth the potential drawbacks, right? Well, not always. Water is usually cooled to 34-40 degrees Fahrenheit with an onsite refrigeration system and incurs a cost to the readymix plant because it is considered a raw material. In some parts of the country, like South Texas and California, where water is limited, it can be very expensive. This expense isn’t always worthwhile for the plant, since the water is a relatively small component of the concrete mix compared to the aggregates, sand and cement, and has a limited impact on cooling. Using liquid nitrogen to cool concrete isn’t a new idea. “Nearly everybody in the concrete industry has heard of using liquid nitrogen,” Sumners says, “However, most of them heard about it 20 or 30 years ago and what they experienced back then was not a very reliable piece of equipment.” Additionally, many liquid nitrogen users experienced damage to their mixer trucks due to aggressive cooling methods. In the past few decades, the machinery used to inject liquid nitrogen into a concrete pour site has changed drastically. 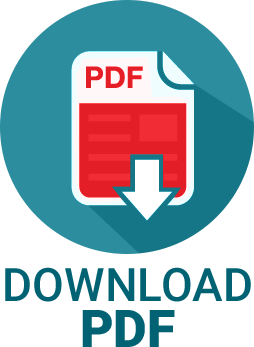 What was once a complicated, unreliable and sometimes costly option for temperature control is now a flexible and cost-effective alternative to traditional cooling methods. “Today we can actually show a cost savings when using liquid nitrogen instead of chilled water or ice,” Sumners said. 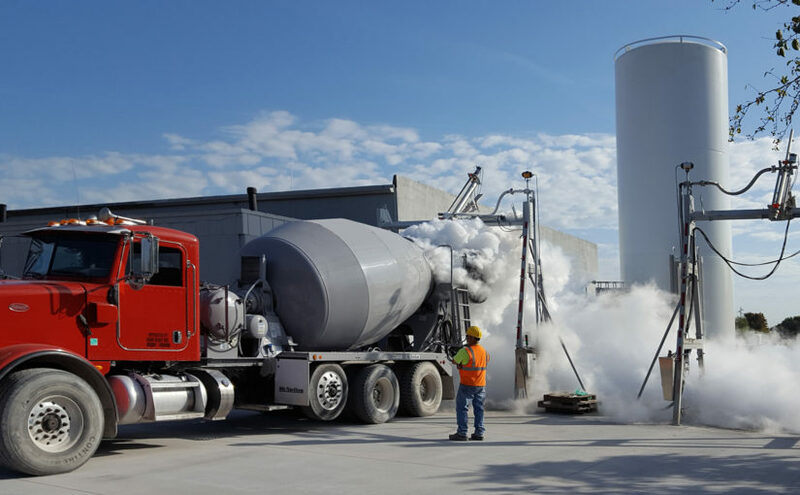 In addition to providing a safer, more cost-effective cooling option for concrete jobs, liquid nitrogen also brings with it an added flexibility that chilled water and ice can’t provide. Sometimes, Sumners explained, a cooling agent is required on short notice and it can be tricky to coordinate all the trucks and manpower needed to get the ice to the jobsite quickly. “If you’re trying to find ice, it is very difficult to scramble and get ice on site at the volume you need in a short period of time,” Sumners says, “Some applications like wind turbine foundation, [for example], a lot of times those wind farms are located in remote areas where they can’t get a good supply of ice or chilled water.” In these scenarios, liquid nitrogen comes to the rescue. Liquid nitrogen trucks and machinery are ready and waiting for transport to almost any location that requires instant cooling. When all else fails, there’s one final option to cool concrete without using water and ice or liquid nitrogen—pour in the winter. In some cases, concrete can be poured during the colder months to avoid the need for an external cooling process altogether, but this option has its own set of dangers. The risks of pouring concrete in the cold primarily relate to possible compromises to the integrity of the concrete due to plunging nighttime temperatures, and concrete not setting properly before it freezes. Whether your concrete job utilizes ice and water, liquid nitrogen or good old Mother Nature to handle the cooling process, be sure to take every precaution and use proper PPE to get the job done safely. Brandon Sumners is a Principal Applications Engineer for Airgas. As a member of the Chemical, Environment and Technical Solutions Team, Brandon has worked in the chemical and refining markets for 20 years providing applications support and industrial gas expertise. Brandon is recognized by Air Liquide as an International Expert in Cryogenics and is based in Houston, TX.